Two very different periods at Caol Ila distillery at the Sound of Islay. On the right the modern still house and office built in the 1970s, on the left the old traditional warehouse (not sure when that was built). This entry was posted in Cloudy Weather, Distilleries, Landscape, Repost and tagged Caol Ila, Islay, Port Askaig, Sound of Islay by Armin Grewe. Bookmark the permalink. 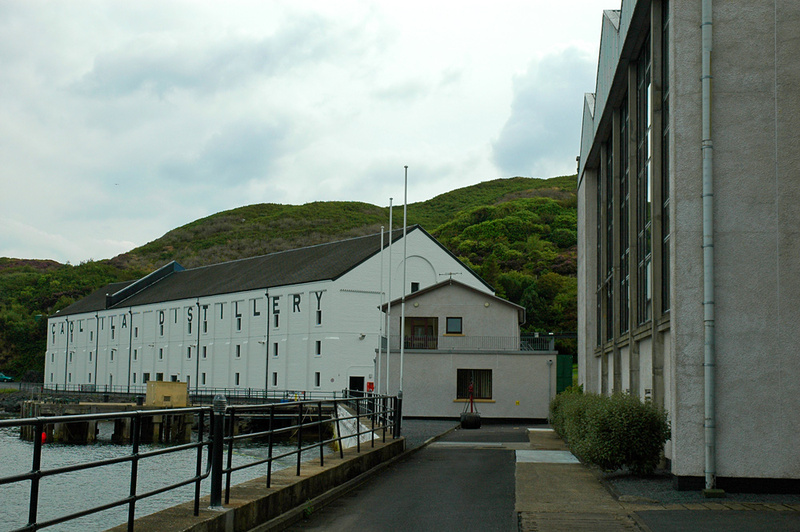 The newer building is a whisky factory, an incredible amount of spirit is distilled there. Makes me a bit sad, I like to think of Islay as an island of micro distilleries.